Now Back in Print at https://www.amazon.com/dp/1984356941! Whether you read Cyberweb in print years ago or are new to the book, I hope you’ll give the ebook a try. And the new Print Book! A lot of science fiction writers have observed that it is more difficult than ever to write about the future because the present keeps catching up! But from my recent reading of the state of A.I., it looks to me like Arachne and Cyberweb are still just a little bit ahead of the curve. Let me know what you think! 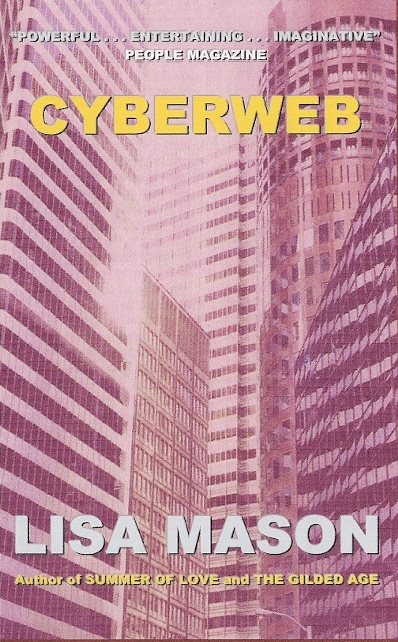 Cyberweb is on US Kindle, BarnesandNoble, Apple, Kobo, and Smashwords. Cyberweb is also on UK Kindle, Canada Kindle, Australia Kindle, Brazil Kindle, France Kindle, Germany Kindle, India Kindle, Italy Kindle, Japan Kindle, Mexico Kindle, Netherlands Kindle, and Spain Kindle. 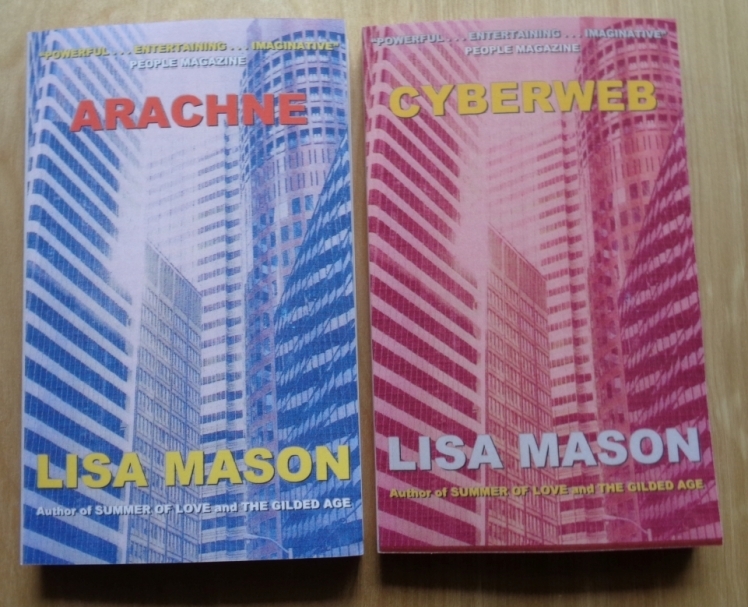 CYBERWEB is Now Back In Print at https://www.amazon.com/dp/1984356941! All content copyright 2000-2019 by Lisa Mason. All artwork copyright 2000-2019 by Tom Robinson. Booksellers, Bookstores, Librarians, Libraries, and Book Distributors, please go to the Certified Reseller's Page.